I bottled my first version of an Oud Bruin not long ago. I liked how it tasted going into the bottles so much, I decided to rebrew it. I collected washings from the yeast cake from the carboy that held the first Oud Bruin for 16 months, washed them, and then used them as my yeast in this version. 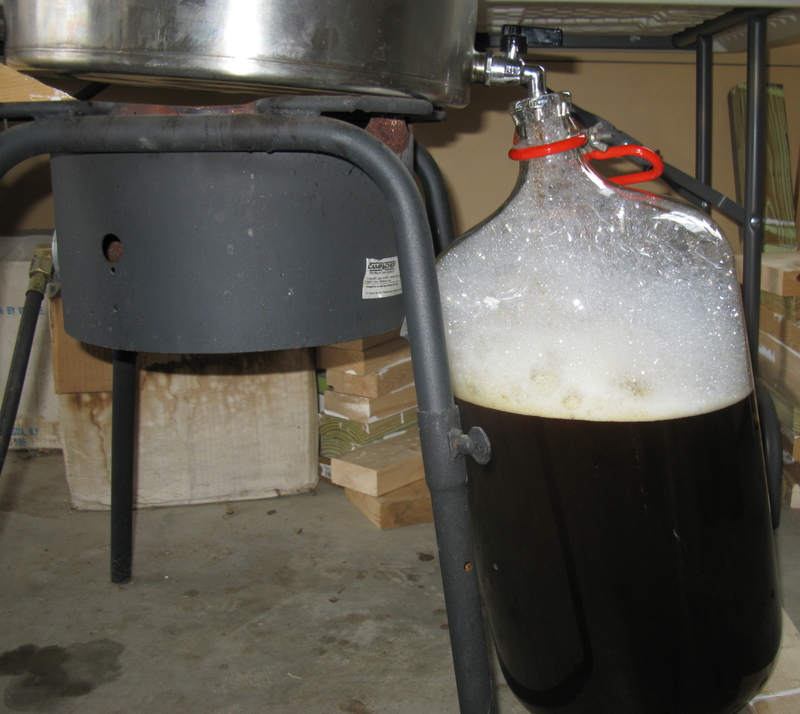 The first beer was split in two for primary, with 3.5 gallons getting the bugs and some Safale 05, and 2.5 gallons getting just Safale 05, then they were blended together to age. Also, I tossed in some East Coast Yeast 02 washings I had left over from a different batch, and added some after about 13 months of aging, so this slurry should be a combination of all of those yeasts and bugs. As this beer will likely take 12-18 months to finish fermenting, I will post the brewday information here, and updates as I move along in the process. It is basically the recipe I used for the first one, just changed the hops to reflect what I had on hand. I was going to mash this at 156F for 45 minutes, but I screwed up, and it mashed at 152, so I let it go for 60 minutes. This will give me a more fermentable wort, which is not ideal, but with the bugs going into the whole thing at the beginning, I am not too worried about it. The OG on this is 1.075. I am going to let this sit in primary the whole time. It is currently in the mid 60’s F in my basement, a nice temperature to start off. I will move the carboy to my furnace room for the winter, as the temps will drop to around 50F in January/February down there.